100 Views of Mt. 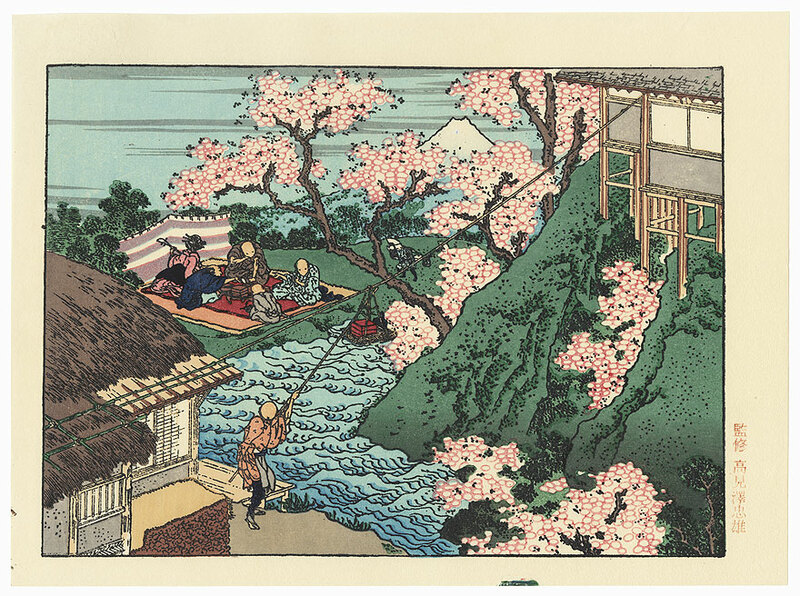 Fuji - Beautiful color reprint of a scene from Hokusai's "100 Views of Mt. Fuji" series, which was originally designed in black and white. The series was devoted to the sacred Mt. Fuji and reflects the importance of the mountain in the everyday lives of the Japanese during the Edo era. From land and sea, throughout the seasons, Mt. Fuji appears majestic with an appealing sense of permanence. This reprint edition by Takamizawa was published in the mid-20th century with the addition of beautiful coloring. 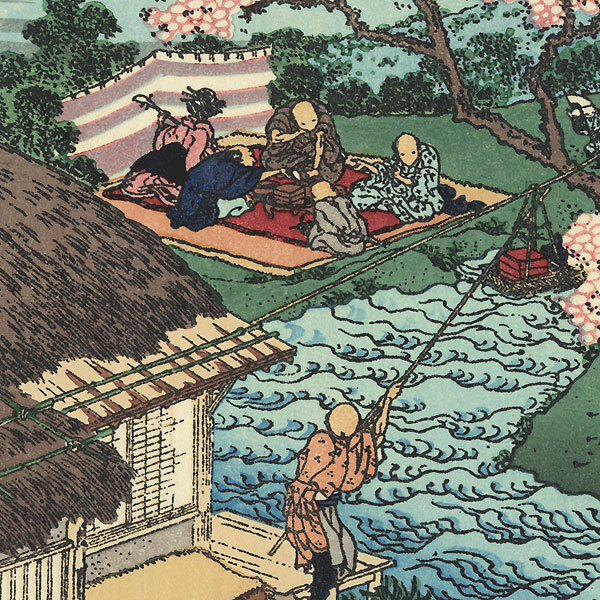 These classic Hokusai landscape views are a wonderful choice for display. 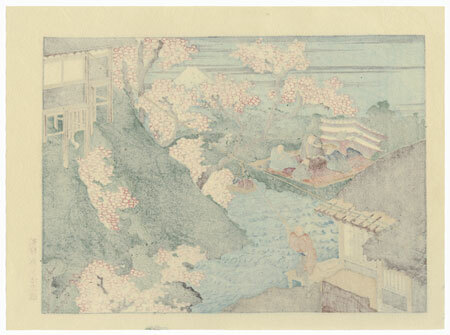 Fuji through Flowers - Beautiful spring view of cherry trees in bloom, with picnickers relaxing on a mat at left, enjoying food and music beneath the pine and white blossoms. At lower left, a man pulls the rope attached to an unusual basket hoist filled with foot to transfer from the building atop the lush green hilltop at left. Mt. Fuji peeks above the trees at top center. A lovely design, attractively colored.